Experience unforgettable memories on your special day! Learn the arts of the tea ceremony, get dressed up in kimono and capture the moment. Stay in a traditional Japanese inn (ryokan) and bask in hot springs and sleep in futon mattresses. Complement your stay with a shiatsu massage and savor veritable the Japanese cuisine. Complete the experience and cherish your moments together with a stroll under the captivating cherry blossoms. 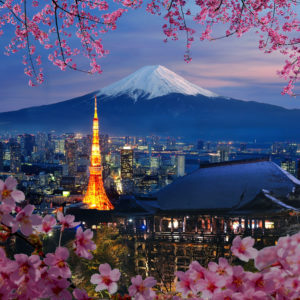 Make your honeymoon perfect with a romantic getaway to Japan now! The current Imperial Palace is located on the former site of Edo Castle, a large park area surrounded by moats and massive stone walls in the center of Tokyo, a short walk from Tokyo Station. It is the residence of Japan’s Imperial Family. We will have access to the East Garden Only. Akihabara is a shopping district for video games, anime, manga, and computer goods. Icons from popular anime and manga are displayed prominently on the shops in the area, and numerous maid cafés are found throughout the district. 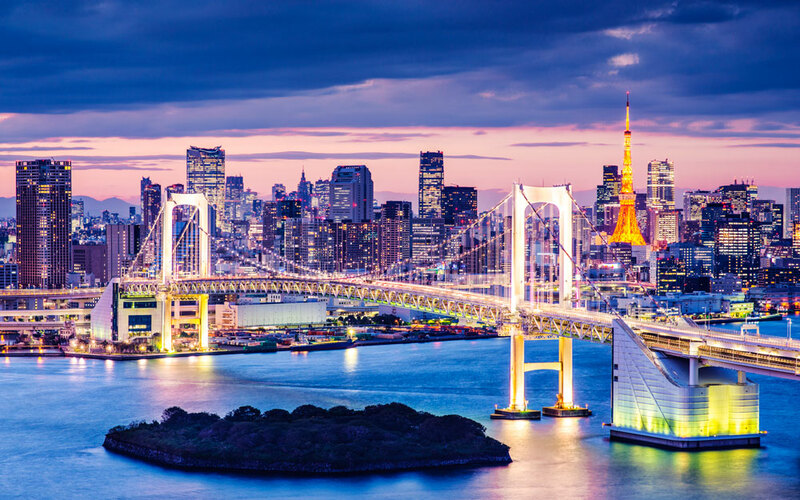 Tokyo has one of the most beautiful night views in the world, with many landmarks that you will find during your flight. Spot the Tokyo Tower, Sky tree, the Ferris wheel at Odaiba, and the Rainbow Bridge all lit up in beautiful colors. This ride is completely private and is perfect for romantic dates. Take your precious partner for a flight, and it will be the most memorable moment during your stay in Tokyo. The Japanese tea ceremony is called Chanoyu, Sado or simply Ocha in Japanese. It is a choreographic ritual of preparing and serving Japanese green tea, called Matcha, together with traditional Japanese sweets to balance with the bitter taste of the tea. Preparing tea in this ceremony means pouring all one’s attention into the predefined movements. The whole process is not about drinking tea, but is about aesthetics, preparing a bowl of tea from one’s heart. The host of the ceremony always considers the guests with every movement and gesture. Even the placement of the tea utensils is considered from the guests’ viewpoint (angle), especially the main guests called the Shokyaku. Come join us for an hour-long cruise at Tokyo Bay! The cruise usually starts from 9:30 pm, but sometimes the cruise starts from 9:00. Simply meet at the yacht club 30 minutes prior for check-in! You can come after you tour around Tokyo. After a hard day’s work, you can enjoy a nice drink at the bar counter, and we serve many types of drinks from alcohol to non-alcohol. Take your drink up to the top deck of the ship, and feel the breeze while you gaze into the night view of Tokyo. Sit around and have a delightful conversation with your partner (or friends), and make this the most memorable moment of your stay in Tokyo. Enjoy this luxurious experience with your favorite person, friends, or family. Hakone is part of Shizuoka Prefecture, less than 100 kilometers from Tokyo. It is famous for its hot springs, outdoor activities, natural beauty and the view of nearby Mt. Fuji. Hakone is one of the most popular destinations among Japanese and international tourists looking for a break from Tokyo. Lake Ashi or Hakone Lake is a scenic lake in the Hakone area of Kanagawa Prefecture in Japan. It is a crater lake that lies along the southwest wall of the caldera of Mount Hakone, a complex volcano. The lake is known for its views of Mt. Fuji and its numerous hot springs. A number of pleasure boats and ferries traverse the lake, providing scenic views for tourists and passengers. The Central Alps Komagatake Ropeway, which opened in 1967 as Japan ’s first mountain ropeway line, runs up to the Senjojiki Cirque directly below Mt. Hokendake. Chuo Alps Kanko celebrated its 50th anniversary in 2013. From the top of Mt. Komagatake (elevation: 2956 m, 9698 f t.), the main peak of the Central Alps, you have access to exquisite views of not only Mt. Fuji, but also of the Southern Alps, Mt. Ontake, Mt. Norikura, and the Northern Alps. The area is also famous for being home to a treasure trove of different rare alpine flowers and other alpine plants. Take a ride on the Central Alps Komagatake Ropeway and enjoy experiencing one of the greatest expanses of natural scenery in Japan. The kimono (着物, きもの) is a Japanese traditional garment. The word “kimono”, which actually means a “thing to wear” (ki “wear” and mono “thing”), has come to denote these full-length robes. The kimono is always used in the important festival or formal moments, it is the representative of polite and a very formal clothing. Gion Corner is a place where you can take in seven kinds of performing arts, most notably the kyo-mai dance performed by maiko dancers. Here you can see Japan’s traditional performing arts in ‘digest’ form all on one stage. Located in Yasaka Hall next to the Gion Kobu Kaburenjo Theatre, the spot has a very international flavor, as it is popular with Japanese and foreign tourists. “Yoshi-Ima” is one of the traditional Japanese style Inn (government registered international tourist hotels) located in a very central part of the city of Kyoto. This place has a history started from 1747 and now exists as a Japanese style inn. It is a fine artistic wooden structure and facing the historical preserved district in “Gion” area where many of them were high-ranked teahouses in former days. Arrive in Japan – The Land of the Rising Sun. Upon arrival at Narita/Haneda Airport, receive a warm welcome. Transfer to the hotel in coach. Check into the hotel. Day is free for leisure. Have dinner on your own and stay overnight at your booked hotel in Tokyo. Have your breakfast at your hotel. After breakfast, gather at the designated location and board the bus bound for Hamamatsucho Bus Terminal. The tour will proceed from Hamamatsucho Bus Terminal. Visit Tokyo Tower and climb to the main observatory 150m (476ft) high for a panoramic view and shop at Nakamise, Akihabara via Ueno (drive-by). The tour ends at Hamamatsu Cho Terminal. Have lunch on your own. Head to the helicopter cruising. Spot the Tokyo Tower, Skytree, the Ferris Wheel at Odaiba, and the Rainbow Bridge all lit up in beautiful colors. Transfer to your hotel by your own. Stay overnight at the hotel in Tokyo. Breakfast at the hotel. After breakfast, proceed to Hisui Tokyo for an amazing experience of the traditional Japanese tea ceremony. 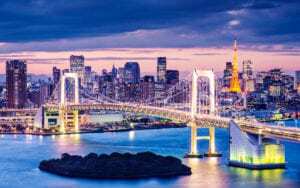 Have lunch on your own and proceed to the Symphony Tokyo Night Cruise. Go back to your hotel and stay overnight at Tokyo. Enjoy your breakfast at your hotel. 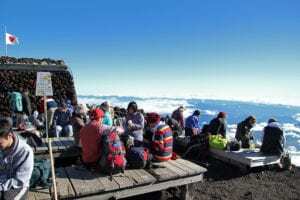 After Breakfast, gather at the designated hotel in Tokyo and depart from Hamamatsucho Bus Terminal heading to Mt.Fuji by bus. Upon arrival to Mt. Fuji (subject to weather conditions) start with the Fuji Visitor Center, Mt. Fuji 5th Station, and Lake Ashi Cruise. Have lunch on your own. After lunch, enjoy Mt. Komagatake Ropeway. Depart Hakone. The tour will disband at Odawara Station. Head to Kyoto by Shinkansen. Check into the hotel and have your dinner on your own. Stay overnight at the hotel in Kyoto. Take your breakfast at your hotel. Head to Saganokan Shijo Main Store. Select a Kimono, get dressed, and take a commemorative photo shoot. See the sights while wearing the Kimono and go back to Saganokan Shijo Store. After the Kimono wearing, proceed to the Kyoto Night Tour. Depart from the hotel in Kyoto. Visit Gion Corner, Gion Historical Preservation District, and the tea ceremony. Have your dinner in a restaurant. Go back to the hotel and stay overnight in Kyoto. Enjoy your breakfast at your hotel. After breakfast, leave for a full-day excursion to Kyoto & Nara. Depart from Kyoto Station Hachijo Exit by bus. 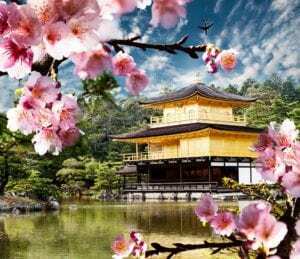 Visit Kinkaku-Ji Temple and Nijo Castle, and have a Japanese Style lunch. See the sights in Nara, Todaiji temple, and Nara Deer Park. Return to Kyoto. Have dinner on your own and stay overnight at the hotel in Kyoto. Take your breakfast at your hotel. 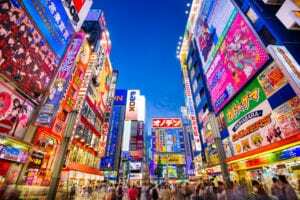 Check out the hotel and transfer to Kansai Airport for your international flight.